We just got back from a great week in California. We went out to visit friends & family, relax, and enjoy the fresh, clean air in the Bay area. 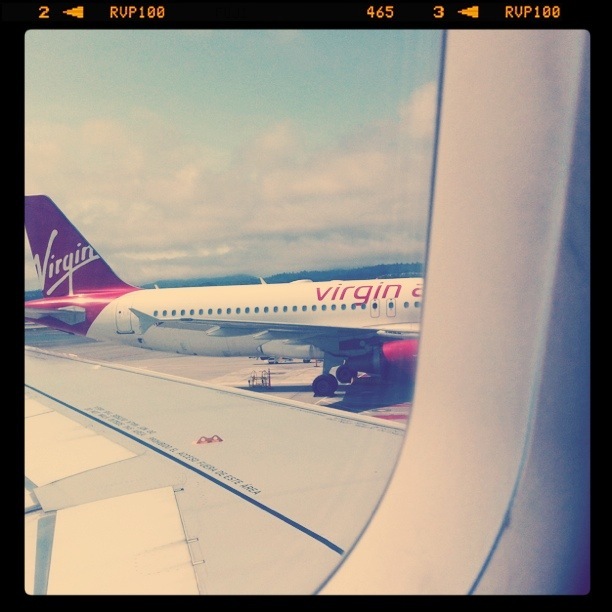 This was my first Virgin America flight. And it was great. It leaves from the international terminal at JFK (the only other terminal I like besides Jetblue’s Terminal 5). The staff is smartly dressed, they have touch screen computers to check in, and pink/purple lights on the plane. People look much better than in those harsh white lights on other carriers. I slept most of the way out there, but managed to check out the inflight wi-fi on the ipad so I could alert M that I was arriving at 11:30 am and NOT 2:55 pm. I misread the email and just thought that was my arrival time, it was the departure time for the return flight. On the way back, I ordred a tuna sandwich via the touch screen menu at my seat. Ok, so I also just wanted to try it out. They delivered it in about 10 seconds. And honestly, it was pretty good. As in, the bread was not soggy (it was actually fluffy wheat bread), it was not overly mayo and it actually had capers and olives in it. The beauty of T2 at SFO is that they have great food selections to eat there or take on board. I had a pick up at the airport. And another slight mistake, I got off at the wrong Bart stop. Anyhow, we managed to make it home for lunch with the family and then headed to Berkeley for a BBQ with a bunch of M’s friends. 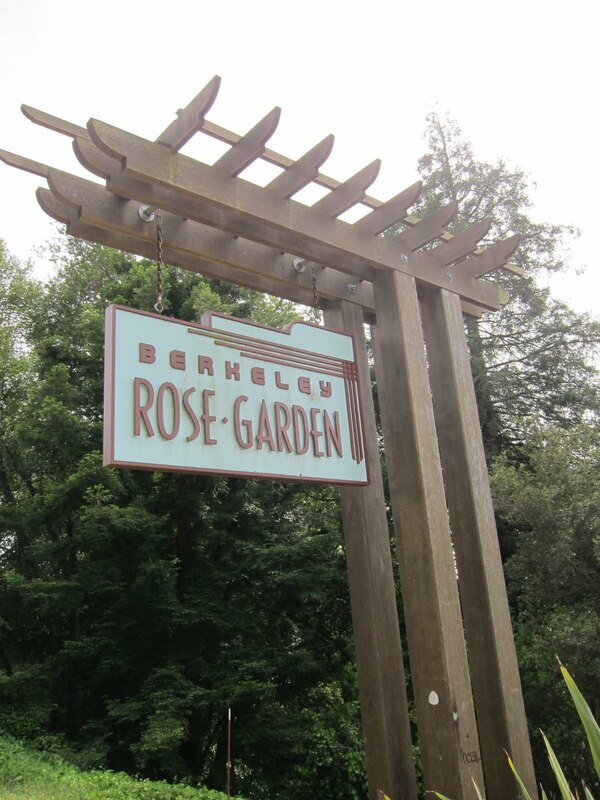 We had some time on the way there so traveled up over Grizzly Peak with a stop at the Berkeley Rose Garden. Where the roses were in full bloom. Good times were had by all, as we crowded around the dining room table and passed food and wine. < Previous Finally Kino Weather? Sound like you had a blst! 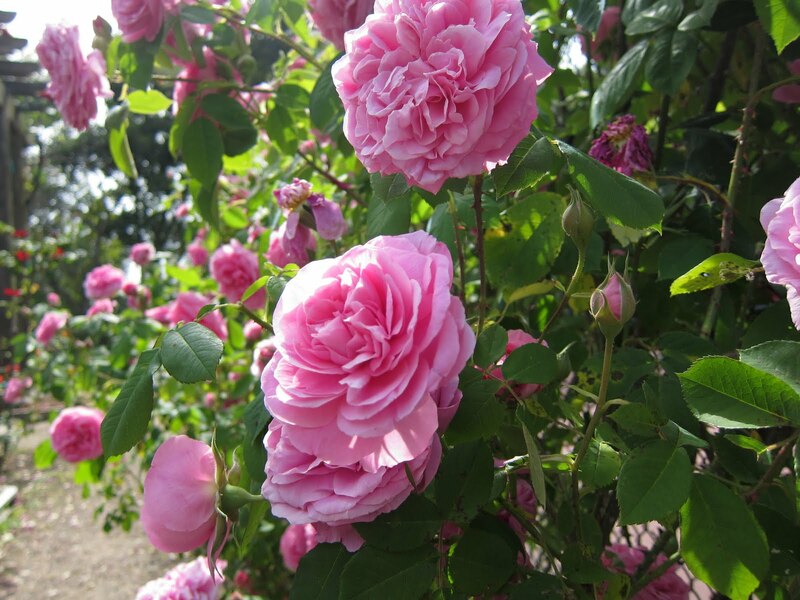 I love the pink roses! How was the weather? I hate SF weather. There were so many roses, and everyone seems to have blooming rose bushes in their yards. Weather in the East Bay was wonderful, warm and sunny. Cooler in Berkeley, but a surprisingly lovely & sunny day in San Francisco. I was ready for overcast.